Basilur Tea UK Ltd import and distribute a range of high quality teas from Ceylon. The Basilur brand is very successful and sells in over 50 countries worldwide.The teas are both black and green and include a wide range of flavoured speciality teas. 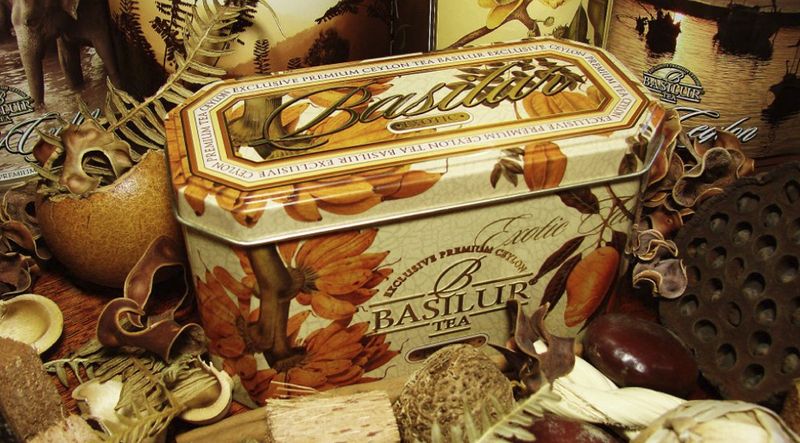 Basilur also specialise in presenting teas in unique, beautiful tin caddies. Basilur Tea is a new brand to the UK and we are working to raise its profile and establish it in the British market.